Are you tired of ads blaring at you with handwaving, blinking images and annoying, disruptive sounds? You're not alone. Many internet users find web ads annoying and intrusive. Some ads may even harm your computer by installing small programs that monitor your activities on the Internet. Luckily, with Mozilla Firefox and an add-on named Adblock Plus you can easily get rid of ads. 2. 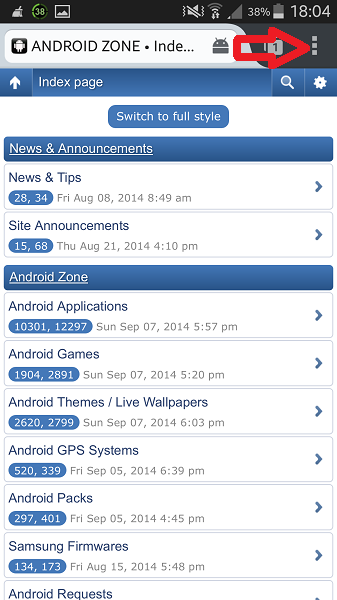 Download Adblock Plus. 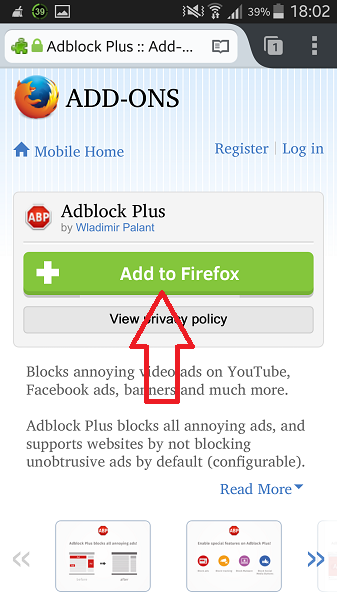 Go to the Adblock Plus download page in Mozilla Firefox and click the Add to Firefox button. This will be the latest version of Adblock Plus. 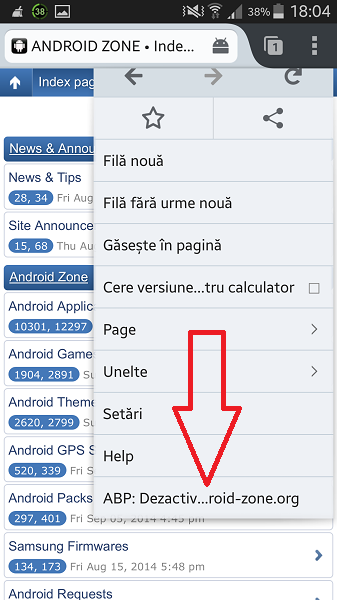 b. then click on "APB: Dezactiv on android-zone.org"